George Skiadopoulos is Professor of Finance at the Department of Banking and Financial Management of the University of Piraeus and at the School of Economics and Finance of Queen Mary University of London. He is also an Associate Research Fellow at Cass Business School and Warwick Business School. He has published in leading academic journals such as Management Science, Journal of Financial and Quantitative Analysis and the Journal of Business and Economic Statistics and he gives presentations about his work to both academics and practitioners. He has also acted as a consultant to a number of financial institutions and hedge funds. 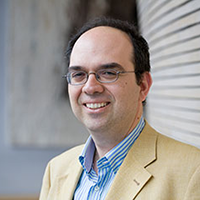 Before joining academia, Professor Skiadopoulos worked as a Research Fellow in the Financial Options Research Centre at Warwick Business School and in the R&D Group of the Athens Derivatives Exchange. He serves in the editorial boards of the Journal of Banking and Finance, Journal of Business Finance and Accounting, Journal of Commodity Markets, Journal of Derivatives and Multinational Finance Journal. He has also served in the Academic Advisory Board of the Professional Risk Managers International Association (PRMIA). His work has been awarded research grants by leading institutions such as the Chicago Mercantile Exchange, the J.P. Morgan Research Centre in Commodities at University of Denver Colorado, the Athens Derivatives Exchange, and the Portuguese State and it has been featured in CFA, Citigroup and Global Commodities Applied Research Digest Volumes, Economonitor, Forbes, Market Watch, Seeking Alpha, The Verdict and Wall Street Journal. Professor Skiadopoulos holds a PhD in Finance from the University of Warwick, an M. Sc. In Mathematical Economics and Econometrics from the London School of Economics and a Ptychion (ranked first in his graduating class) in Economics from the Athens University of Economics and Business.